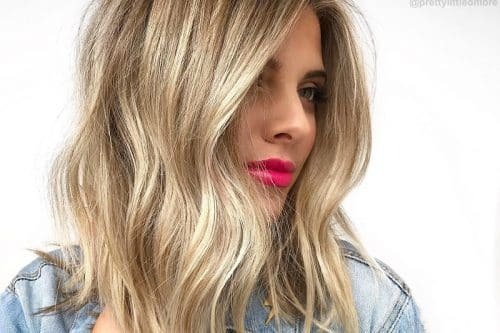 Fashioned by nearly all celebrities, highlights are the easiest way brighten up your hair. 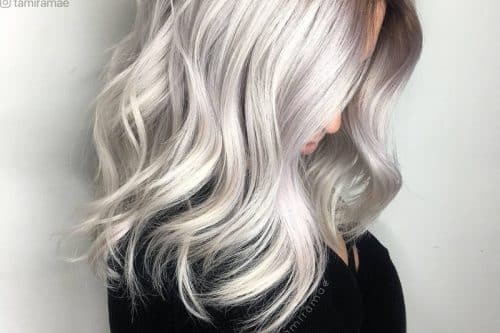 Rather than the normal foil-in-hair technique, the ultimate goal is to create that flawless transition of impeccable hues that give a candid, sun-kissed look. 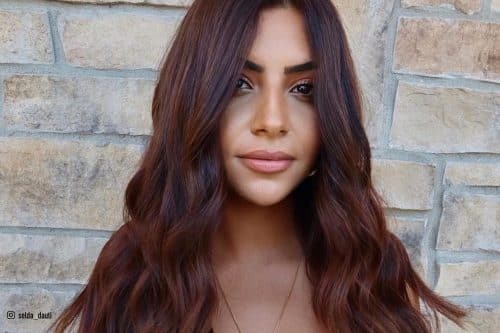 Want that beach glow and look on your locks? 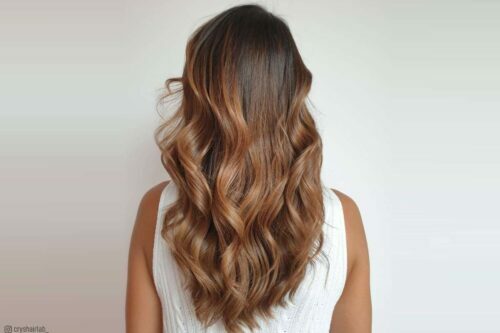 Look no further ‘cos sun-lit balayage highlights that look very best on brunette hair are easily achievable with an expert balayage. Cotton candy-hair plus textured waves equals looking super cute and perky! 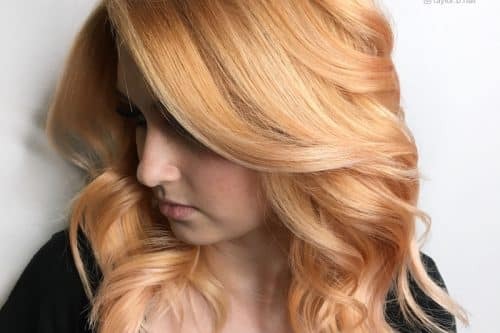 With a spray-on hold and a few flicks of a brush, go have fun with this adventurous dark to pastel pink hair transition. 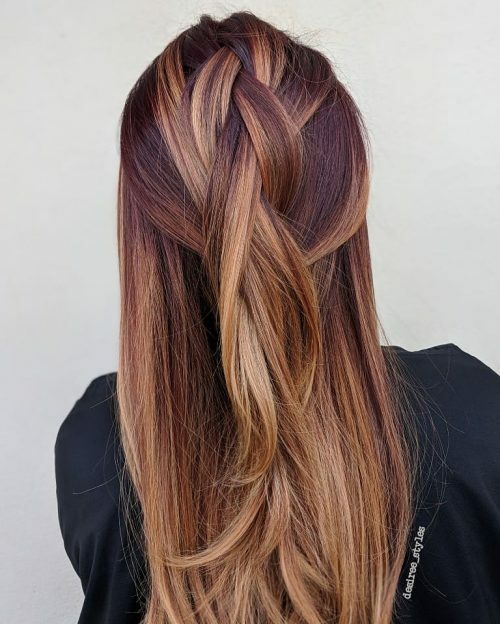 Rose gold balayage highlights have become super trendy because of the unique shade that is created that can compliment many base colors. 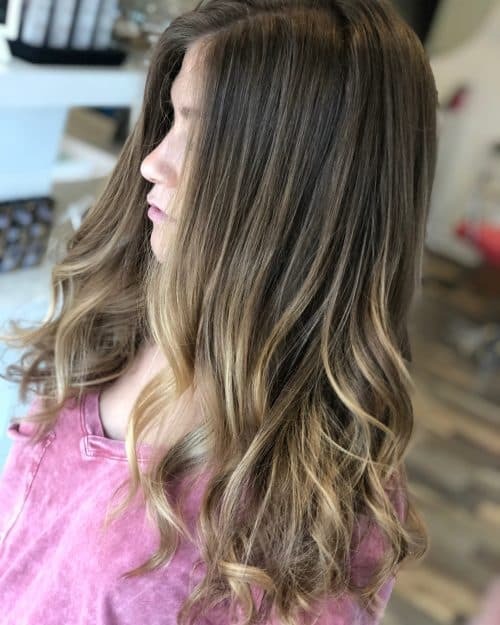 Face framing balayage highlights are a low maintenance way to brighten up your hair while spending minimal time at the salon. 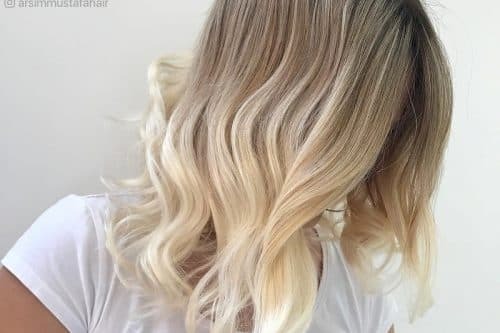 This look is good for someone who doesn’t like to sit through hours of foils and/or balayage but still wants that nice sunkissed blonde. 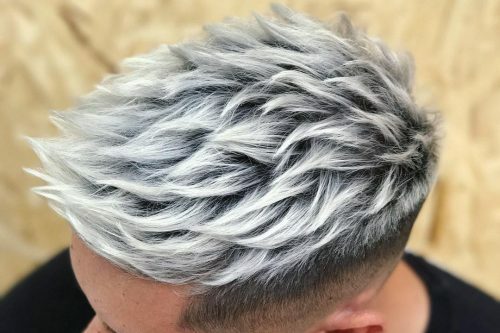 The greatest thing about this look is how much more dimension it can give someone. 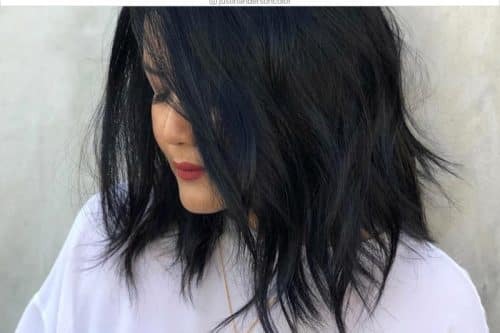 This is such a good example of the phrase “less is more” because those couple of brighter pieces around someone’s face can really bring out a nice contrast of color. 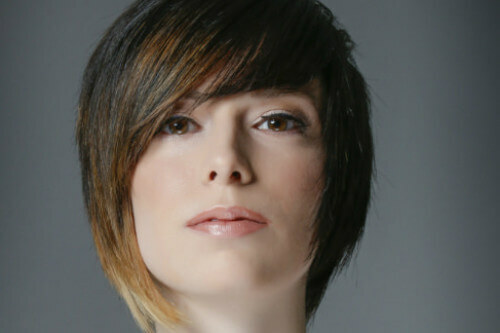 This look is flattering on most people just because you can really fine tune it to each individual. 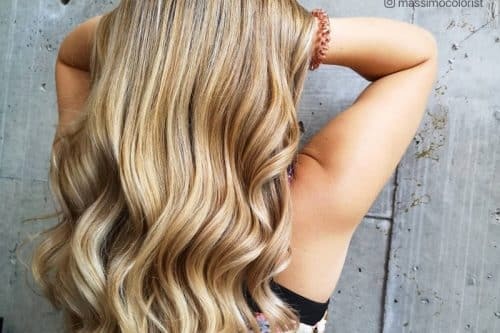 You can adjust the tone, level of blonde (or brunette), and placement. 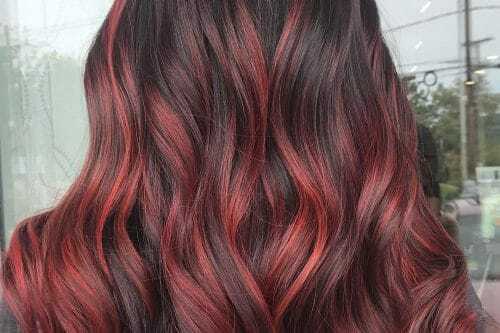 That’s the beauty of balayage highlights, you can really adjust it to what you are looking for. 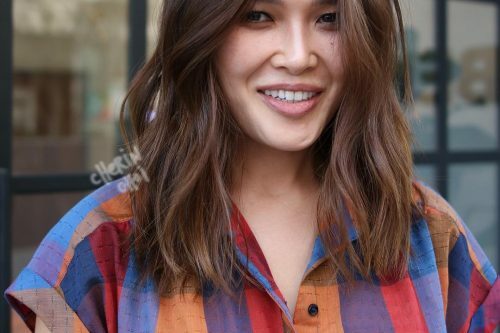 This type of balayage typically looks best with a longer face frame or blunt cut but you can also do it with shorter styles and bangs. 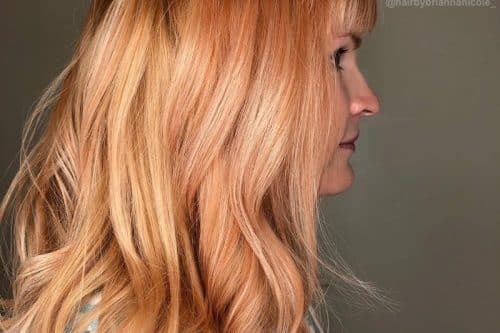 This look features a subtle natural sun-kissed dimensional strawberry copper balayage highlights. 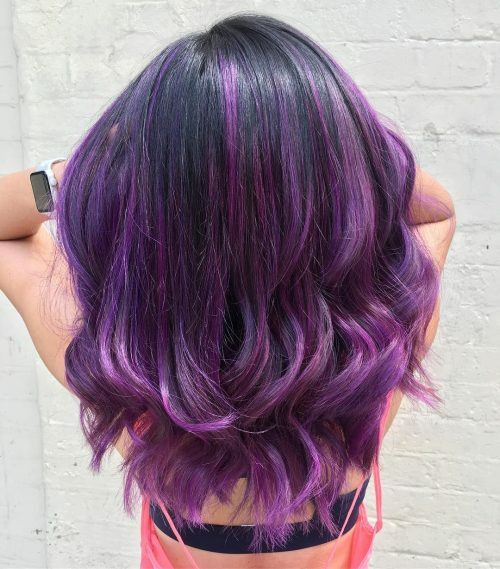 I freehanded painted pieces of the hair that I really wanted to pop when the light hits it, but still, have that natural sun-kissed effect. Everyone is a candidate for highlights – it’s just finding the right shade for your skin tone. Easy to keep up with or just let it grow out there’s no commitment that’s what makes it so fun! I always say don’t be afraid to try new things! This look is current, a bit edgy, and most of all fun. 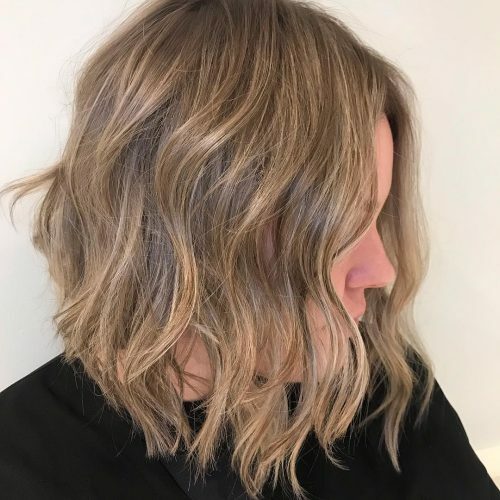 Because the model’s base color was already a cooler brunette tone, these ashy blended balayage highlights complement her natural coloring. 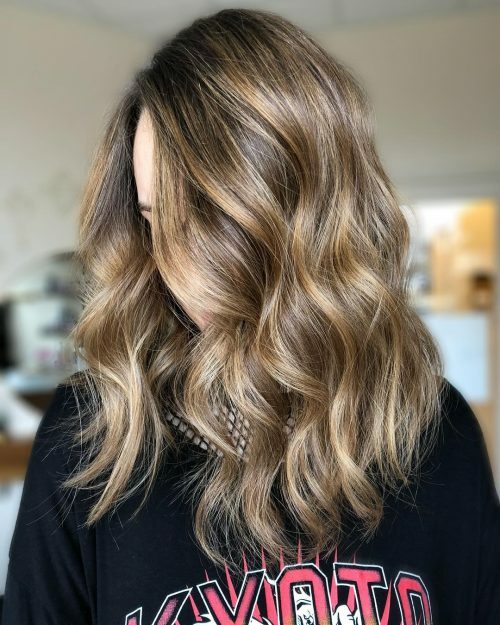 We kept the balayage highlights finer and lifted her as light as possible before toning for an easier grow-out that won’t end up brassy. 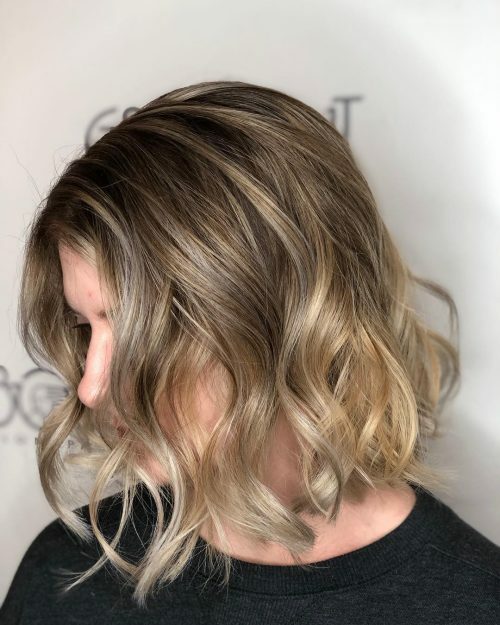 This look and most softer balayage highlights styles can be very versatile since they allow for more time in between appointments and therefore less maintenance. 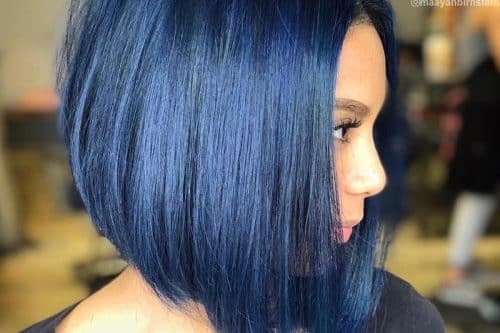 Best suited for finer hair, the cut can be worn sleek and straight to show off the edgy concave shape, or wavy to accentuate the volume that can be created from having this type of cut. I used a larger barrel curling rod and finished with a dry texture spray by Kenra. 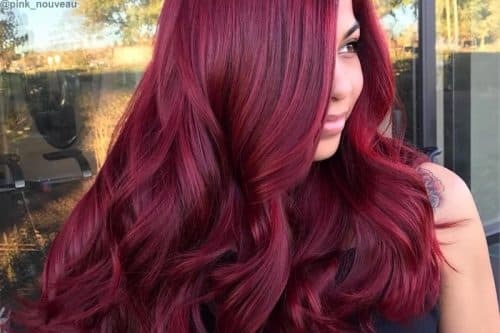 Each style would show off the color and seamless blend in different ways. 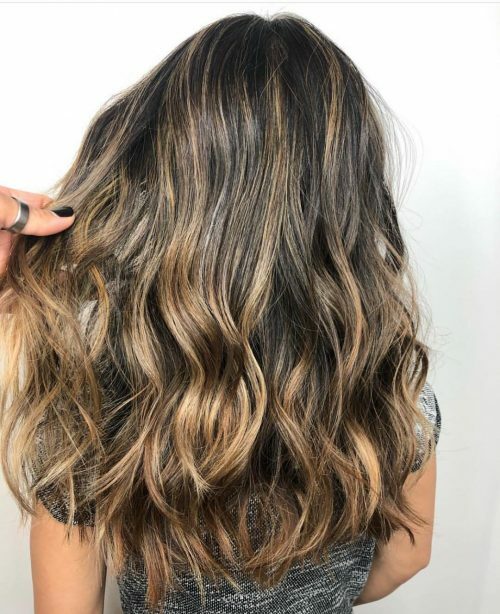 Balayage highlights are the perfect introduction to someone who has never had color before but wants to try something new. 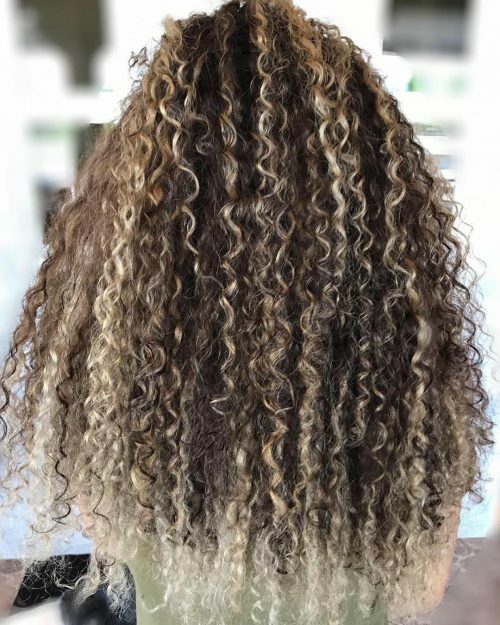 For example, this guest came in with a full head of gorgeous natural hair! 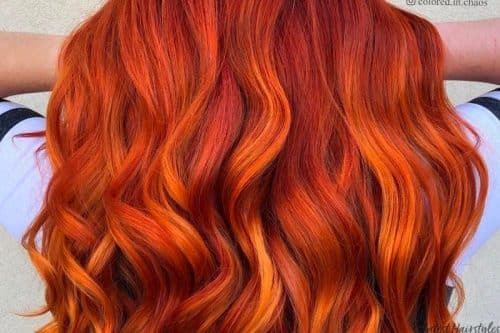 She wanted something a little lighter but was also not wanting to come in every month to have to touch up. 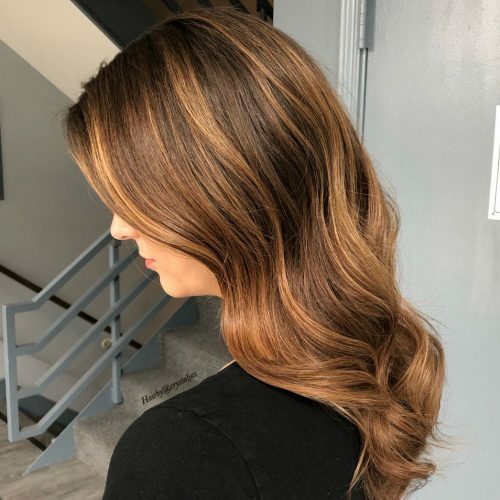 Balayage is the perfect introduction to first-time color clients. With the right at home regime, these looks are low maintenance and all on your time. 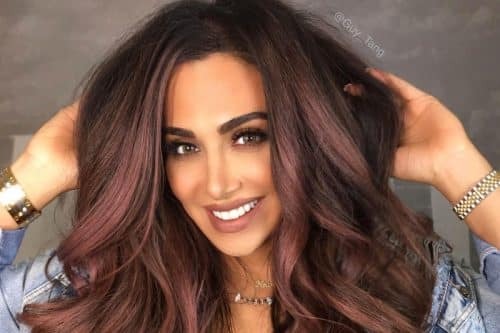 Techniques that lighten like Balayage can drastically improve hair color.